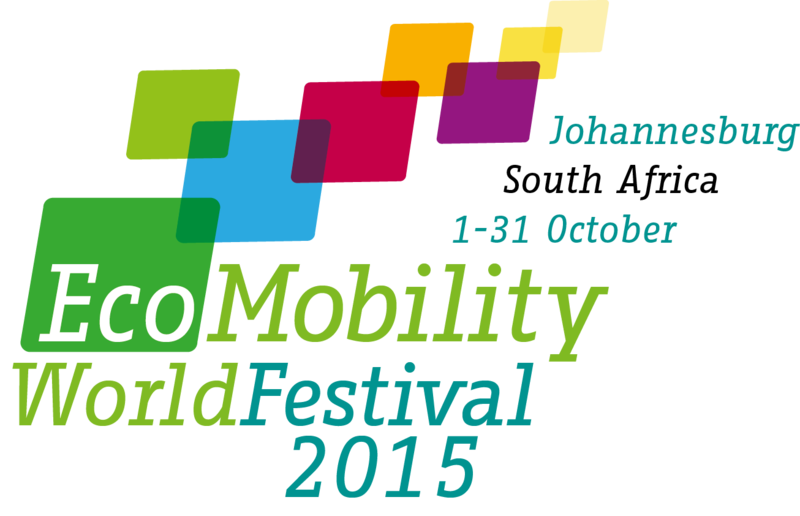 The EcoMobility World Festival, taking place in Sandton in October, will both showcase and accelerate the City’s initiatives to introduce long-term changes to transport patterns in Sandton and across the city. At the same time, it will encourage people to buy in to the benefits – to the economy, the environment, and their own lifestyles – of shifting away from private cars towards efficient public transport coupled with cycling and walking as the dominant mode of transport. The City of Joburg is taking the EcoMobility lead with the extension of the Rea Vaya bus rapid transit (BRT) network into the northern suburbs and Alexandra, along with the provision of infrastructure that will make walking and cycling easier, safer and more affordable. “Our objective is to create a liveable urban environment in Sandton served by a balanced, multi-modal transport system that can improve accessibility for people making both shorter and longer trips into its central core,” says Transport MMC Christine Walters. “The City acknowledges that people may only make the shift to public transport and cycling if there are accessible, affordable and safe transport alternatives available. Rea Vaya will be central to this shift, as a glance at the City’s transport infrastructure roll-out plans for the northern suburbs reveals. Rea Vaya’s trunk network will be extended, with an initial 16 kilometres of dedicated BRT bus lanes and stations, stretching from Joburg CBD into the northern suburbs, currently under construction. Once complete, Rea Vaya will connect the inner city nodes of Hillbrow and Braamfontein along Louis Botha Avenue past Alexandra to Marlboro and from there to the Sandton CBD along Katherine Street. This trunk route will then be served by feeder and complementary routes to and from Midrand, Ivory Park, Sunninghill and Randburg. Temporary demarcation of the Sandton Public Transport Loop along Rivonia Avenue, Fredman Drive and 5th Street, with a dedicated, kerb-side lane and passenger shelters for all forms of public transport. Substantive roadworks along the Loop will commence after the Festival (see September 2016). A “complete street” upgrade along the north-bound side of West Street (north-bound only) will include wider pedestrian walks, cycle lanes, soft and hard landscaping, and improved street lighting and signage. The upgrade will serve as a demonstration of upgrades to be completed after the Festival (see September 2016). The completed Rea Vaya bus lane along Katherine Street, between Grayston Drive and West Street, will be used as a public transport expressway during the Festival. The BRT infrastructure roll-out along Katherine Street will continue after the Festival (see December 2016). Start of construction of 27 kilometres of dedicated cycle lanes connecting Rosebank with Sandton and other northern suburbs. Completion of the “complete street” upgrade along West Street. Completion of wider pedestrian walkways and cycle lanes along Maude Street, between West Street and Rivonia Road. Completion of roadworks on the Sandton Public Transport Loop along Rivonia Road, Fredman Drive and 5th street. The completed Loop will include wider pedestrian walkways, road upgrades, soft and hard landscaping, improved road signage and street lighting, and commuter shelters. Completion of the Great Walk, a dedicated pedestrian and cycling pathway between Alexandra and Sandton, including a pedestrian-cycling bridge with a striking architectural design across the M1, to cater for the 10 000 or more people who walk or cycle the five kilometres between Alexandra and Sandton daily. The route stretches from Wynberg, along Rautenbach Road, over the M1 alonside the Grayston interchange on the new pedestrian-cycling bridge, down along Sandton Drive, left into Katherine Street, right into Linden Road, to join Maude Street on Rivonia Road. Completion of 30 kilometres of new sidewalks in Alexandra as part of a major public environment upgrade programme. Completion of Rea Vaya BRT infrastructure along Katherine Street between Grayston Drive and Marlboro Drive. Will include dedicated BRT lanes, upgraded mixed traffic lanes, new pedestrian walkways, improved street lighting and signage, and landscaping. Will also include widening of the Sandspruit Bridge from two to six lanes (two for BRT and four for mixed traffic), plus widening of the Marlboro onramp onto the M1 north to provide three right-turning lanes off Katherine Street. Completion of a dedicated Rea Vaya BRT bridge over the M1 highway between the Grayston and Marlboro interchanges. This bridge will connect the BRT trunk routes along Katherine Street with those running along Louis Botha Avenue from Alexandra into central Joburg. Completion of Rea Vaya BRT infrastructure along Louis Botha Avenue, and commencement of Rea Vaya services between Sandton, Alexandra and the CBD. Commencement of Rea Vaya feeder and complementary services between the CBD/Sandton and Midrand, Ivory Park and Sunninghill. Extension of Rea Vaya trunk services to the Randburg CBD. This story was originally posted on Rea Vaya website.